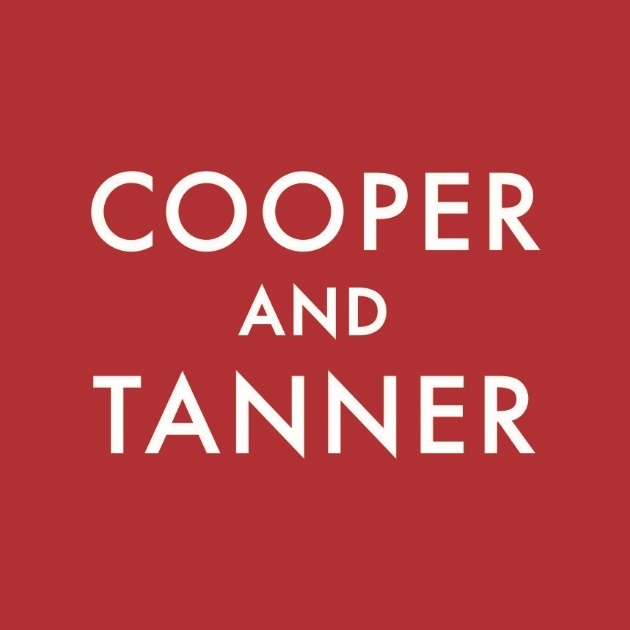 This document outlines the policy of Cooper and Tanner Lettings Ltd and Cooper and Tanner LLP with regards to handling our data protection obligations and the rights of customers to comply with the General Data Protection Regulations (“GDPR”). Data Subjects Any person we obtain personal information from, including property sellers, buyers, landlords, applicants and tenants. Data Controller A person who (either alone or jointly or in common with other persons) determines the purposes for which and the manner in which any personal data are, or are to be, processed. Personal Data Any information relating to an identified or identifiable natural person; an identifiable natural person is one who can be identified, directly or indirectly, in particular by reference to an identifier such as a name, an identification number, location data, an online identifier, or to one or more factors specific to the physical, physiological, genetic, mental, economic, cultural, or social identity of that natural person. It is necessary for the purposes of the legitimate interests pursued by the controller or by a third party, except where such interests are overridden by the fundamental rights and freedoms of the data subject which require protection of personal data. We collect and process the personal data set out in Section 20 below. This may include personal data received directly from data subjects when we directly interact with them. Complying with any other legal obligation. As soon as possible after collection where it is obtained from a third party. We will ensure that all personal data collected and processed is kept secure and protected against unauthorised or unlawful processing and against accidental loss, destruction or damage. Further details of the data protection and organisational measures which will be taken are provided in Parts 21 and 22 of this Policy. The person responsible for our data protection compliance is Nick Oliver. Details of the measures we take to ensure security of personal data. An assessment of the risks posed to individual data subjects and details of the measures in place to minimise and handle risks including safeguards, data security, and other measures and mechanisms to ensure the protection of personal data, sufficient to demonstrate compliance with the GDPR. In any event, not more than one month after the date we obtained the personal data. A data subject may make a Subject Access Request (SAR) at any time to find out more about the personal data we hold about them. We will normally respond to a SAR within one month of receipt, or two months for complex and/or numerous requests. We will inform the data subject of the need for the extension, if appropriate. All SAR received must be forwarded to Nick Oliver. We do not charge for the handling of normal SARs, but we reserve the right to charge a reasonable fee for additional copies of information already supplied to a data subject, and for requests that are manifestly unfounded or excessive, particularly where such requests are repetitive. If we are informed by the data subject that personal data we hold is inaccurate or incomplete, and they request correction we will do so and confirm our actions with the data subject, normally, within one month of receipt the data subject’s notice, but this may be extended to two months in complex situations We will inform the data subject of the need for the extension, if appropriate. Where any disclosure of inaccurate data has been made to a third party we will advise the third party of the correction. The personal data needs to be erased so that we can comply with a particular legal obligation. The personal data collected is used to provide the service required by customers a and clients and it can vary. The sub- clauses below outline the main areas of data we collect and require to provide the service. No personal data may be shared informally and if an employee, agent, sub-contractor, or other party working on our behalf requires access to any personal data that they do not already have access to, such access should be formally requested from Nick Oliver. All electronic copies of personal data will be stored securely using passwords and data encryption. All personal data breaches must be reported immediately to Nick Oliver. If a personal data breach occurs and that breach is likely to result in a risk to the rights and freedoms of data subjects (e.g. financial loss, breach of confidentiality, discrimination, reputational damage, or other significant social or economic damage), we will ensure that the Information Commissioner’s Office is informed of the breach without delay, and in any event, within 72 hours after having become aware of it. If a personal data breach is likely to result in a high risk (that is, a higher risk than that described under Part 25.2) to the rights and freedoms of data subjects, we will ensure that all affected data subjects are informed of the breach directly and without undue delay. Details of the measures we have taken or proposed to be taken to address the breach including, where appropriate, measures to mitigate its possible adverse effects. Should a complaint be received it is vital to ensure that it is dealt with immediately and appropriately and an acknowledgment letter must be sent out within 3 days of receipt. Once we have received a complaint about someone’s personal data being misused it is important we ask the right questions to identify whether this is a simple error that can be rectified or a more serious potential data breach and The Data Protection Complaints Evaluation Form will assist with this. The complaint will then be evaluated Nick Oliver. In all cases we will review processes and rectify any problem and respond appropriately to any complainant who is highlighting an error with their personal data or a mistake in our processing of their personal data. We collect, hold and use some of the personal data you provide to us in order to provide you with the excellent professional service you expect from us. The information within this document outlines how we do this in all situations where you provide us with your data. Please read it carefully and ensure that you understand it. We are a member of RICS and The Property Ombudsman. In all cases we will hold your personal information securely, either in hard copy on our property files or digitally within our software. We use JUPIX LTD, Rackspace and OVH who are data processors of information we hold. Your data will only be stored in the EEA. As a customer or user of our services your details may be added to our mailing list and we may send you information regarding other relevant services we can provided to you. You will be able to unsubscribe to these emails at any time. We will retain the personal information we hold for up to 6 years, because the time limit for any party to initiate civil action against us should they believe they have a claim is 6 years. This Policy applies only to your use of services from Cooper and Tanner. We will address your concerns and attempt to solve the problem to your satisfaction. You also have the right to lodge a complaint with the Information Commissioner’s Office. If you do not accept and agree with anything within this usage policy please stop using the website immediately, because your continuing use of our website will be seen as your acceptance of it. If you contact us or send us an email, we will retain the details you provide to us including and any other information which you choose to give us. The website may contain links to other websites. Please note that we have no control over how your data is collected, stored, or used by other websites and we have no liability if you use those websites. You are advised to check the policies of any such websites before providing any data to them. By entering into an agreement with us to sell your property (Either by private treaty or at auction) you will provide to us various pieces of personal information, which we will need to provide you with the high-quality service you require, to ultimately facilitate the successful marketing and sale of your property. The information required by us will vary depending on circumstances. It will include the information within the agreement you sign, but it may not be limited to this information. We will provide some data to others only where it is required and as outlined below, or in accordance with your stipulated wishes. Your information will not be passed to any third party not listed in below without obtaining your consent. Prospective Buyers - Basic information about your property will be provided to anyone who makes an enquiry to us about potentially viewing or purchasing your property. This information will include the property details we produced and any other relevant information you provide to us, including the information in any property information questionnaire you complete for us. Agreed Sale - Once a sale is agreed we will provide your personal contact information to the buyer and the solicitors acting for both parties. We may provide your contact information to various professionals that may be acting for the buyer, such as surveyors and contractors wanting access to the property to produce estimates, etc. We may pass on your data when discussing the sale of your property with various parties once a sale is agreed in order to facilitate exchange of contracts and completion of the sale. In all cases we will hold your personal information securely, either in hard copy on our property files or digitally within our software. We use software from JUPIX LTD who are data processors of information we hold. The information required by us will vary depending on circumstances. It will include the information you initially provide to arrange the viewing or register to bid at our auction, but it may not be limited to this information. Viewings – Where you view a property we will require certain pieces of personal information from you in order to provide a professional service to you and our client. We will not share this information with any third party other than our client, without your consent except where you make an offer to purchase that is accepted by our client. Offers to Purchase - We may require you to provide proof that you hold sufficient funds to purchase the property and we may retain copies of any documentary proof of funds. We will not share this information with any third party other than our client, without your consent. Identification Details - We may hold copies of your photographic identity documents and at least one document that confirms your home address. We may also use an online service to verify your identity. This is done to meet our obligation under Money Laundering Regulations. Additionally, it is required to protect our position and look after your interests. It assists us to ensure we are not becoming involved in any money laundering situation. In line with our obligation the copy documents and/or identity verification report will be held for 5 years from the date of the property sale or the date you withdraw your property from the market. We will not provide any other party with copies of these documents, but we may provide them to solicitors or estate agents involved in the purchase of the property, who also have an obligation to verify your identity, should they formally request it. By entering into an agreement with us to rent out your property you will provide to us various pieces of personal information, which we will need to provide you with the high-quality service you require, to ultimately facilitate a successful rental and/or provide property management services. Identification Details - We may hold copies of your photographic identity documents and at least one document that confirms your home address. We may also use an online service to verify your identity. This is done to protect our position and look after your interests. It assists us to ensure we are dealing with the owners of the property and we are not becoming involved in any money laundering situation. The copy documents and/or identity verification report will be held by us and not provided to any other party. Prospective Tenants - Basic information about your property will be provided to anyone who makes an enquiry to us about potentially viewing or renting your property. This information will include the property details we produced and any other relevant information you provide to us, including the information in any property information questionnaire you complete for us. Negotiating with Prospective Tenants and Handling Offers to Rent the Property - We will negotiate with prospective tenants and take offers from them. This process will involve providing potential tenants with relevant personal information to facilitate a successful negotiation. This will also involve providing you with relevant and necessary personal information about the potential tenant. You should ensure that you treat any information we provide to you as confidential and it must not be passed on or shared with any other person or business. Contractors – We hold a list of preferred contractors who we may use to provide services to you at the property. We may obtain estimates / quotes for work from these contractors and we may instruct them to carry out work on your behalf. To do this we will provide the appropriate personal information they need to provide the required services. A full list of these contractors is available upon request. The information required by us will vary depending on circumstances. It will include the information you initially provide to arrange the viewing, but it may not be limited to this information. Identification Details - We may hold copies of your photographic identity documents and at least one document that confirms your home address. We may also use an online service to verify your identity. This is done to meet our obligation under the Immigration Act to verify your right to rent in the UK. Additionally, it is required to protect our position and our landlord’s position. It also assists us to ensure we are not becoming involved in any money laundering situation. In line with our obligation the copy documents and/or identity verification report will be held for up to 1 year the date ant tenancy ends. We will not provide any other party with copies of these documents. Viewings – Where you view a property we will require certain pieces of personal information from you in order to provide a professional service to you and our client. We will not share this information with any third party other than our client, without your consent, unless you make an application for a tenancy. Tenancy Application - You must complete the tenancy application. This application requires you to provide personal information to RENTSHEILD LTD who carry out credit and referencing checks and provide us with a report on your suitability as a tenant. We will not share this information with any third party other than our client, without your consent. The personal information you provide may be shared with our client, the landlord, but it will not be shared with any other third parties without your consent. Once a tenancy is agreed we will provide a copy of the tenancy agreement and any other related documents to our client, the landlord. Sub-Contractors – We may use sub-contractors to carry out maintenance or repair work on the property, or conduct inventory checks and property inspections during tenancy. A list of the third party sub-contractors is available on request. The information required by us will vary depending on circumstances. It will include the information you initially provide in the agreement you sign, but it may not be limited to this information. Technical Drawings, Site Levels and other 3rd Party Professional Services – We may pass your details on to 3rd party where these services are required, but we will not do so without your express consent. Authorise us to pay any monies owed to you direct into your bank account. However, it may not be limited to this information. We will not provide any data to others except as outlined below, or in accordance with your stipulated wishes. Your information will not be passed to any third party not listed in below without obtaining your consent. Identification Details - We will hold copies of your photographic identity documents and a document that confirms your home address. This is done to protect our position and it also assists us to ensure we are not becoming involved in any money laundering situation or dealing with stolen goods. We will not provide any other party with copies of these documents. Banking Information – This information is required to make payment of monies owed to you simpler and more straightforward. We do not pass on or share this information with any other party except your bank when setting up the payment arrangement.